Menopause is a natural change in a woman’s life marking the end of her reproductive ability. It occurs in the midlife of woman ranging from late 40 to early 50s. Menopause is a phase which occurs over a period of 4 to 5 years and described on the basis of the state of uterus and last menstrual cycle. It involves hormonal changes and reduced activity of the ovaries. Ova or female reproductive cells are no longer released by the ovaries and also the production of hormones which cause menstrual flow is reduced. Perimenopause is the transition period before and after the last menstrual cycle wherein a woman still faces symptoms associated with menopause due to erratic hormonal levels. Postmenopause is the period after the final menstrual cycle when a woman with an intact uterus and who isn’t pregnant or lactating has not experienced menses for a year. Surgical menopause is the loss of menstrual cycles due to removal of ovaries. Irregular menstrual periods, hot flashes, palpitations, itching, and shrinking of genital areas (vaginal atrophy), the urgency of urination and fatigue are the common symptoms of menopause. Psychological effects due to inappropriate hormone levels include depression, anxiety, irritability and concentration problems. Postmenopausal women are at increased risk for osteoporosis, heart disease, macular degeneration, glaucoma, colon cancer, etc. However, symptoms of menopause differ from woman to woman. Menopause is not a disease and hence does not require any treatment; however one can look for ways to treat the symptoms. Hormone replacement therapy (HRT), antidepressants, blood pressure medications are commonly prescribed to deal with menopause-related symptoms. Non-hormonal medications and therapies can reduce symptoms and risks that occur with menopause. Turmeric is referred to as ‘The Golden Goddess’ not only for its golden hue and aromatic flavour but also for its healing properties. Turmeric offers a wide range of pharmacological properties such as antioxidant, anti-inflammatory, antimicrobial, anti-cancer, etc. Curcuminoids are a group of compounds that impart the vibrant yellow colour to the spice. Curcumin is an active ingredient of this group which contributes significantly to the herb’s healing properties. The volatile oil is the extract obtained from the rhizome which is responsible for the aroma and therapeutic properties. Turmeric serves to be therapeutic in various health disorders some of which are relevant to menopause. Following studies reflect this aspect. Phytoestrogens are plant metabolites that mimic or modulate the activity of body estrogen. Phytoestrogen supplements are always suggested as an alternative to hormone replacement therapy. Turmeric is a proven phytoestrogen. Estrogen deficiency during menopause can lead to risk for many health problems, such as hot flushes, sleeping disorders, vaginal dryness, joint pain, mood swings, reduced bone density, cardiovascular disease, etc. Turmeric can prove to be helpful in these ailments as it can help elevate and balance estrogen levels. What does this mean? Turmeric is a natural source of estrogen available from plants which can help replenish the estrogen levels in your body and reduce the symptoms of menopause. Turmeric has significant analgesic potency comparable to common painkillers. 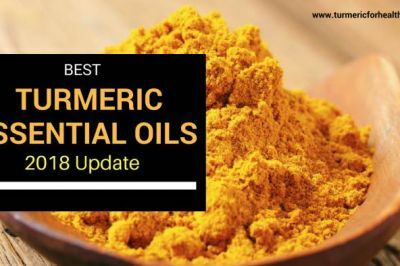 A study comparing the activity of turmeric oil with aspirin demonstrated that turmeric oil reduced swelling in the animal’s paw by 76% whereas aspirin at the same dose had an inhibitory activity of 62%. Curcumin is effective in improving postoperative pain and fatigue, thus demonstrating its anti-inflammatory and analgesic activity. Turmeric’s anti-inflammatory activity is comparable to that of painkillers like indomethacin and diclofenac sodium. This property of turmeric can help to treat migraine, joint pain or muscle soreness caused by menopause. What does this mean? Body ache and muscle soreness are common complaints linked with menopause. Turmeric’s anti-inflammatory property can relieve you from such complaints. Hot flashes are one of the most common complaints affecting 75% of the women in perimenopause. It is a feeling of intense heat with sweating and rapid heartbeat. Low levels of oestrogen are said to be responsible for this symptom. An experimental study conducted on menopausal women reported that menopause and hot flushes bring about biochemical changes such as reduced antioxidant activity. 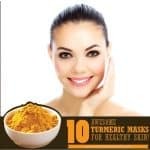 Turmeric’s antioxidant activity is as potent as that of Vitamin C and Vitamin E.
Turmeric is one of the dietary antioxidants that are suggested to be incorporated in menopausal women’s diet especially for those who can’t be treated with HRT. What does this mean? Good news for all women passing through this stage. Turmeric’s antioxidant activity and estrogen activity can prevent hot flashes. Depressive symptoms are very common during perimenopause. Surprisingly low estrogen levels and depression have little or no correlation. Researchers have analysed and confirmed that factors such as later-stage perimenopause, sleep disruption, current stress, and the presence of hot flashes are related to the depressive symptoms. Turmeric has proven antidepressant activities in animal studies. A clinical trial held in Government Medical College, Gujarat, India evaluated the safety and efficacy of curcumin as an antidepressant in comparison to fluoxetine or Prozac. Results of this trial confirmed that curcumin has comparable antidepressant activities to that of fluoxetine but unlike other antidepressants, curcumin does not cause adverse effects. Curcumin is also effective in controlling anxiety. Its anti-anxiety activity is comparable to diazepam. It boosts DHA levels which are vital for controlling anxiety and essential for brain development and functioning. What does this mean? It is ok to be nervous, anxious or depressed in this phase. It’s your hormones at work. Surprisingly turmeric can help in dissipating your blues! Postmenopausal age, the decline in estrogen levels and vaginal atrophy can increase the susceptibility of women to vaginal infections. These infections are characterized by vaginal discharge, soreness, and itching in the genital area. Turmeric is a natural anti-microbial agent. Curcumin is proven to have synergistic effect with antibiotics when it comes to fighting the drug-resistant bacterial infection. A clinical trial was conducted on 32 patients within the age group of 24-62 years who were suffering from vaginitis. They were treated with a herbal topical formulation for 2 weeks and turmeric extracts were one of the main ingredients. 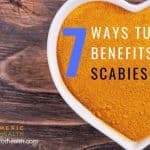 Anti-inflammatory, antibacterial and anti-fungal properties of turmeric were put to use. Within 14 days of treatment, patients experienced relief from all symptoms and tests conducted confirmed the absence of infection. What does this mean? Turmeric can ward off vaginal infections. Apart from the symptoms mentioned above, menopause and the period after that increases a women’s susceptibility to a number of disorders. Aging is another factor that controls this aspect. Compromised immunity is a matter of concern in postmenopausal women. A review of 30 studies shows that decreased estrogen levels leads to reduced immunity and increases vulnerability to autoimmune diseases. This increases the incidence of diseases like diabetes, atherosclerosis and cardiovascular diseases. Surgical menopause is also linked with impaired immune response and hormonal therapy can ameliorate this condition. This suggests that turmeric as a phytoestrogen can also help in repairing immune responses. However, this is not the only attribute of the golden herb that can help in compromised immunity. Curcumin is an immune booster. Those who have been brought up in a typical Indian family can now understand that this is the reason why your grandmother forced you to have turmeric milk when you had a fever. 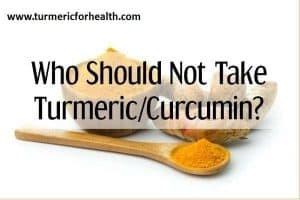 Curcumin has immunomodulating properties : It can reduce inflammation, migration of immune cells, and production of pro-inflammatory chemicals, all of which occur as a result of impaired immune responses leading to the development of autoimmune diseases. Interestingly at low levels, it can elevate immune and antibody responses and help fight infections. What does this mean? Turmeric can perfectly balance and restore your immunity, which could be compromised as result of estrogen imbalance. The transition that occurs during menopause is not limited to hormones or bleeding or immunity alone. It also extends to body weight. Body fat distribution is affected due to hormonal changes and the deposition of fat tissue in the abdominal region is a common outcome. Studies suggest that hormonal replacement therapy can possibly reduce weight gain. But what if we suggest a healthier, tastier and safer option!? It inhibits the formation of fats and the development of fat tissue. It demonstrates anti-inflammatory and antioxidant activity which suppresses inflammation in fat tissue. It reduces the risk of obesity-related cancers like colon, breast, kidney cancer, etc. What does this mean? The golden herb can help in losing abdominal fat which is likely to occur as a result of menopause. Postmenopausal women are more likely to suffer from a heart attack than men. Reduced estrogen levels lead to increased heart palpitations. Not only heart attacks, but women are also more predisposed to most heart problems than men. Curcumin has a protective role in cardiovascular diseases. Curcumin is one of the dietary polyphenols that is recommended for its beneficial effects on cardiovascular health and its protective action against aging. Its anti-thrombotic, antioxidant and anti-inflammatory properties help in reducing the risk of atherosclerosis, heart failure, and arrhythmia (irregular heartbeat). Blood vessels tend to narrow down with age and lose elasticity. This obstructs blood flow paving the way to a number of heart problems such as heart attack and stroke. Estrogen status can also affect heart health by affecting the status of blood vessels. A study conducted by a Japanese team has proven that curcumin supplements can improve blood flow and blood vessel functioning. Results state that curcumin supplements can prove to be a good alternative for those who can’t exercise. Curcumin ingestion, when combined with exercise, can reduce stress on heart in postmenopausal women which occurs if there is obstructed blood flow due to narrowing of arteries. Curcumin is beneficial for those who have suffered from heart attacks. It restores normal cardiac function and improves cardiac repair. What does this mean? Turmeric ingestion can reduce your risk of developing heart diseases in post-menopausal phase. Estrogen is essential for bone formation. Lack of estrogen can reduce bone formation which causes an imbalance between bone formation and absorption leading to weak bones. Weak bones are susceptible to fractures. A study conducted in Korea has proven that bone loss caused by estrogen deficiency can be ameliorated by curcumin administration. Findings suggest that curcumin increases bone density by virtue of its antioxidant property. The University of Arizona tested the protective effect of turmeric in a rat model of postmenopausal osteoporosis. Rats were subjected to surgical removal of ovary and treated with turmeric extracts of different compositions (41% and 94% curcuminoids by weight). The extract with 94% curcuminoids reduced 50% of the bone loss caused by ovariectomy. As mentioned previously, drop in female hormones leads to decreased immunity and this can lead to the onset of rheumatoid arthritis. A number of studies prove turmeric’s therapeutic potential against rheumatoid arthritis. The mixture of ginger and turmeric rhizomes is prove to be better than indomethacin (regular NSAID) in reducing arthritis linked inflammation and risk factors. A different study proves that turmeric’s anti-arthritic potential exceeds that of ginger and indomethacin. Turmeric reduces inflammation and simultaneously activates the antioxidant defense system to reduce the onset and progression of rheumatoid arthritis. Percent disease recovery was higher by 10% in the turmeric group than the painkiller group. Chondrocytes are developing bone cells. Curcumin exerts chondroprotective properties- it balances bone formation and bone resorbption. 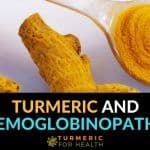 Due to this attribute turmeric prevents the development of osteoarthritis. What does this mean? Aging and reduced oestrogen levels severely impacts bone health leading to development of osteoporosis, arthritis and osteoarthritis. 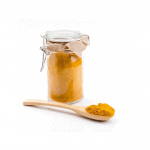 Turmeric is potent enough to ameliorate any of these conditions and protect bone health. Weight and levels of female hormones are two factors that control the development of post-menopausal breast cancer. Phytoestrogens or plant-derived estrogen have an a protective effect on breast cancer risk. Though this study did not test turmeric, it is a proven phytoestrogen. 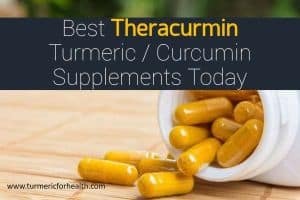 Curcuminoids present in turmeric have anti-breast cancer effect and they inhibit the development of breast cancer cells. 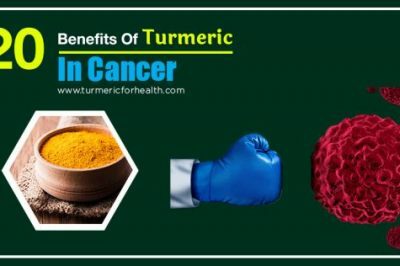 Due to numerous molecular mechanisms involved in turmeric’s anti-cancer effect, researchers suggest that curcumin should be given as an adjuvant to chemotherapeutic drugs in treating breast cancer. A herbal formula (Zyflamend) containing a number of pants derived antioxidants one of them being curcumin is proven to reduce inflammation in breast cancer occurring a result of menopause. Hormonal treatment also increases breast cancer risk in post-menopausal women. Research proves that curcumin taken along with hormonal therapy can act as chemopreventive agent and reduce risk of developing breast cancer. What does this mean? 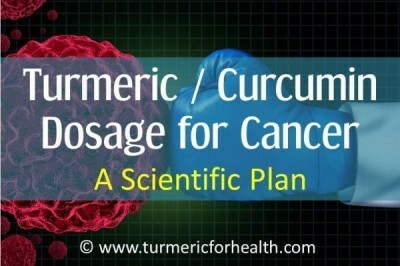 Experimental studies prove that turmeric inhibits and destroys breast cancer cells. Additionally this herb can reduce your risk of developing breast cancer after menopause. It is best to take turmeric as part of the diet. 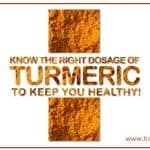 Taking 1 tsp of turmeric powder daily is safe and causes no issues. An important aspect of using turmeric is ensuring its absorption in the body. This is easy to do so by taking turmeric with black pepper or fats. Both fats and black pepper enhance turmeric’s absorption which is otherwise very low. 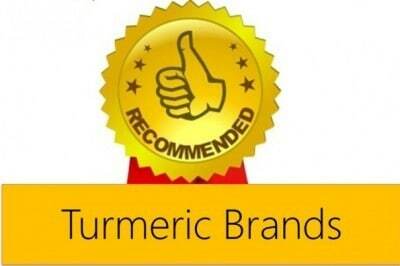 Turmeric supplements are also available but it is best to take a good quality turmeric powder. Menopause is a part of a natural cycle of a woman’s life. It is not a disease that needs to be cured. Hormone replacement therapy is one of the solutions most women resort to so as to reduce the symptoms of menopause. However, HRT is a double-edged sword that makes women prone to risks and complications of menopause. Turmeric’s numerous healing properties can be of aid to deal with this phase of life. On average women spend one-third of their life in the post-menopause phase. 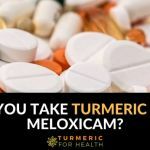 Turmeric’s healing properties are not limited to menopausal women but those who are soon to enter this stage of life can make it a ritual to start taking turmeric this very moment. 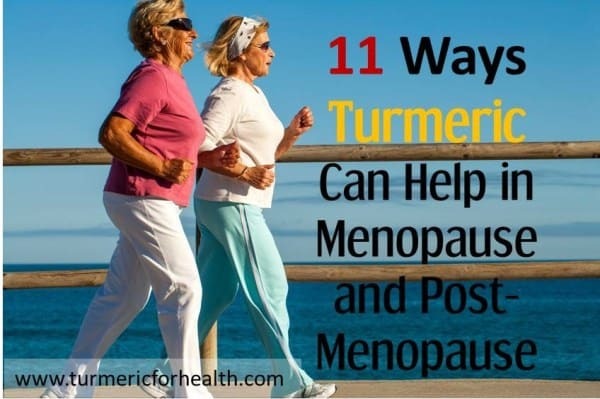 Turmeric can definitely be the one remedy that reduces your discomfort during menopause. I always find it interesting when men write articles about menopause and how to cure the hot flashes or night sweats. I know where a man’s prostate is located so I guess that means I’m an expert on prostate cancer. Just because someone knows where the brain is located doesn’t make that person a brain surgeon. I spent last weekend in the emergency room having started haemorrhaging at work. I am 54 and my periods have been irregular for just over a year; this time I had been bleeding for over 14 days. I received no treatment at the hospital but was given Norethisterone and a prescription (for which I needed to return the next day); told to see my doctor the following week – that though they thought my heavy bleeding was due to me coming to the end of menstruation they’d write to my doctor that it was a cancer scare whereupon I’d be seen within 2 weeks (in other words sent back to the hospital). Now I have been looking forward to the end of menopause and have never wanted to take HRT: I had recently met a woman who’d been on HRT for 20 years only for her symptoms (the ones she’d taken HRT for in the first place) to return with a vengeance plus she then got cancer (not good); – the bleeding stopped but I sat up all night and read that taking Norethisterone (which is – I learnt – often prescribed for women who don’t want to have a period when on holiday) would also delay the inevitable – though at least I felt I could take one (I had no intention of taking 3 a day, as I was told) if the bleeding got too bad again. Well I have never taken one. A day later the bleeding returned as bad as at the weekend. By ‘bad’ I mean: one of super-heaviest tampons and a pad being soaked every 10 minutes (that’s bad, right?) – I looked online and read about turmeric. I started taking the pure powder with a little warm water that night – then the next morning – (let’s be honest, it tastes disgusting but….) It has done the trick. Bleeding no longer bad (may even have stopped) – and not only that – my terrible back pain, the pain in my sacro illium which I have had for months and thought unconnected, has also gone. So has the gaunt expression in my face which I usually carry. I feel great. And before anyone wonders: I have no benefit in promoting tumeric at all. I’m thinking of buying the Currcumin tablets because I think they’ll be easier to swallow – but they make me a bit nervous as I’ve had such good benefits just with the powder. Hi. Thank you for sharing your experience. Glad to hear that that turmeric benefited you and helped ease the perimenopause symptoms. 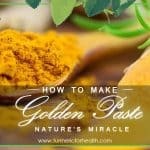 If you don’t mind the taste, you can consider taking Golden Paste. I am presently on BHRT and Testosterone therapy . 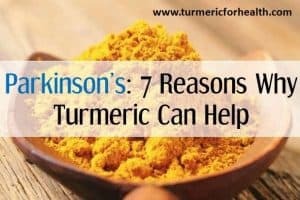 Does it hurt to take turmeric each day as I was before starting this therapy? Including turmeric in your diet should not cause any issues but in case of supplements its best to discuss this with your health practitioner. So does Tumeric lower or raise Estrogen levels? I need mine to go down. Hi. That actually depends on the health issue one is facing. However there has been no study which proves either. It has phytoestrogenic activity but in cases like breast cancer it does not mimic estrogen. 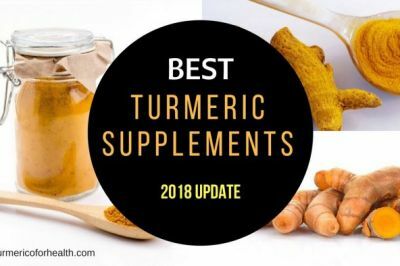 Why are Tumeric supplements not recommended?? Turmeric supplements are recommended but preferably if you take it with a health practitioner’s consult. This is in order to identify the dosage and to rule out drug interactions. Turmeric supplements are concentrated versions of one of the bioactives-curcumin. Whole turmeric or turmeric powder has more than just curcumin which is why we recommend dietary turmeric over supplements. I am taking 600mg tumeric with 5mg of piperine capsule once a day and have been for nearly 1week but yesterday started having heart palpitations, will they pass or should I stop taking them? Hi. Please discontinue the use of turmeric supplements in this case. Consult a health practitioner as well. I had been drinking golden milk regularly for 2-3 weeks when I began to have significant clear vaginal discharge with no other symptoms. I have been in menopause for over 10 years. My doctor treated me for a bacterial infection although the test was negative and following treatment, I still have the clear discharge. I’m wondering if the phytoestrogens in the tumeric can re-establish moisture in the vaginal tract or if something else is going on. Curcumin is found to be a mild phytoestrogen. We can’t really comment whether it is responsible for the discharge. 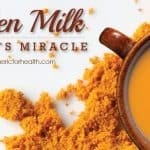 You could cut down on the amount of turmeric that you are taking with the milk or stop consuming it completely for a couple of days and see if the discharge stops. If not you would have to investigate if anything else is responsible for this. Dietary turmeric is safe but if you find the discharge disturbing then please avoid turmeric or limit intake. 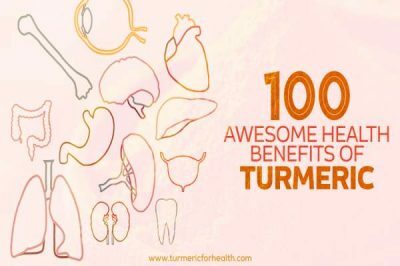 Can turmeric worsens hot flushes (face and neck sweating)? Turmeric should actually help ease the hormonal imbalance and reduce hot flushes. But if you are experiencing worsening of hot flushes then reduce turmeric dose or discontinue its use. i used to boil fresh turmeric and serve it as water everyday, is this safe? Yes it is safe to consume turmeric boiled in water. 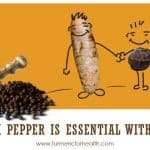 For better absorption it is best to take turmeric with black pepper and oil. I have been menopausal for four years, proven with hormone tests, but with no symptoms. I have been taking Turmeric tablets (100mg) for three days, and have started light bleeding. Is this normal? If you look up side effects of turmeric it does include possible induced bleeding. It freaked me out as I have been menopausal for 3 years and had signs of bleeding so looked it up and sure enough! A side effect! Kay, I believe you could be correct. I am 69 years old and started spotting again. I had to to go to the hospital for a myomectomy (uterine biopsy) where they found nothing wrong. 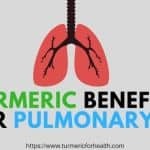 I had been occasionally taking a turmeric supplement at a very small dose of 50 mg. I wish the gynocologist had asked me if I took turmeric. It might have spared me the anesthesia and the worry leading up to the procedure. Frightening thoughts of uterine cancer were keeping me awake at night. Michelle that is not normal. No study or even traditional medicinal data states that turmeric can cause bleeding in menopause. Please discontinue using the supplements and consult a doctor about the same. It is safe to use turmeric as a herb in your diet. I take a turmeric supplement 3x a day. Is this ok…too much or too little. 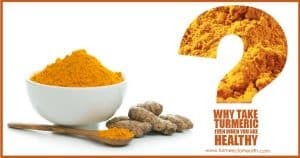 Depends on the quantity of curcumin/curcuminoids in the supplement and the condition for which you are taking it. Long term use of supplements is not advised. Is Turmeric ok to take after 10 years of surgical menopause? Yes its absolutely safe to take turmeric especially as a part of diet. Is turmeric effective to bring down high blood pressure? Yes turmeric does work as anti-hypertensive and aids in reducing blood pressure and improving metabolic health.